Embezzlement investigation into ex-CEO of Rusnano resumed | Russian Legal Information Agency (RAPSI). 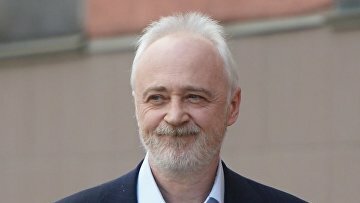 MOSCOW, April 15 (RAPSI) – The Investigative Committee of Russia has resumed investigation into ex-CEO of the state-owned technology corporation Rusnano Leonid Melamed charged with embezzling over 220 million rubles (about $3.5 million), URA.RU news agency reports Monday citing the corporation’s lawyer Alexander Asnis. In December 2017, Moscow’s Cheremushkinsky District Court returned the case against Melamed, who was CEO of Rusnano and its board member from 2007 to 2008, and another ex-manager of the corporation Svyatoslav Ponurov to prosecutors. According to attorney Ruslan Kozhura, the court found that the presented evidence did not reveal the nature of charges. Earlier, Anatoly Chubais, Chairman of the Executive Board of Rusnano, testified in the case. The Investigative Committee claims that between 2007 and 2009, Melamed along with ex- corporation managers Andrey Malyshev and Svyatoslav Ponurov illegally transferred over 220 million rubles from Rusnano to Alemar Co. controlled by Melamed. The defendants pled not guilty. According to the information available, the case was opened after the check of the corporation’s finance indicators by the Audit Chamber. The defendants have been charged with large-scale embezzlement of public funds.